Fort Wayne's final game of the 2019 home season! Come join us for some hard hitting action! 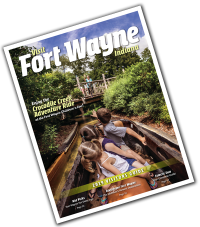 Jam packed with family fun for all ages! Member of the US Military are honored with a free ticket to this event by signing up in advance. All are welcome to honor those who have served at Military night with the Fort Wayne Derby Girls. Join us in supporting Fostering Hope for Children Inc. 260-403-8444 fhforc.com. This charity provides clothing and other essentials to foster children in the area. 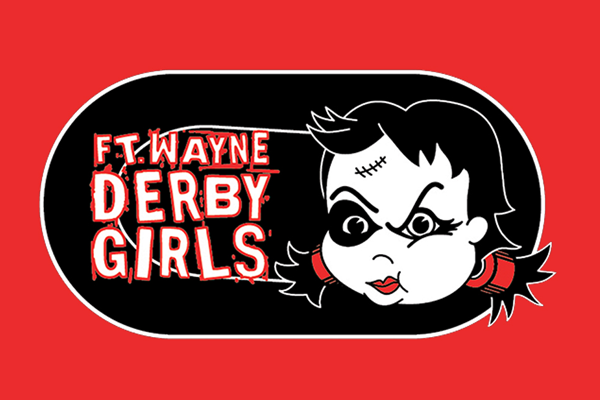 The doors open at 3pm for Fort Wayne Derby Brats playing at 4pm. Fort Wayne Derby Girls game begins at 6pm with the Tootsie Rollers at halftime! All this action on one ticket! After party at Hop River Brewing Company, 1515 N Harrison St. Fort Wayne, IN 46808. Food, drinks, and games for all ages! Bring the whole family and hang out with your hometown roller derby team!